Prof Sinegugu Duma has the following educational qualifications: Doctor of Philosophy, Doctor of Philosophy, obtained from the University of Cape Town (2006); Masters in Nursing Education, Obtained from University of KwaZulu Natal (1998), B Cur in Nursing Administration and Nursing Education, obtained from UNISA (1994) and Diploma in Nursing (Psychiatry, Community) and Midwifery, obtained from Natal College of Nursing. She also holds Certificate in Sexual Assault Forensic Nursing and postgraduate courses in gender based violence and forensic nursing, obtained from Johns Hopkins School of Nursing, Baltimore, USA (2003). She is a fellow of the Academy of Nursing of South Africa since 2013 and is the recipient of the Fundisa Excellence Nursing Research Award (2016) for research that improved nursing practice and health outcomes for victims of sexual violence. Her current research is on prevention of sexual violence in different settings including universities. She has secured both national and international research grants. She serves in many national and international professional nursing societies, including the South African Forensic Nursing Association, of which she is a founding member, the International Association of Forensic Nurses where she serves in the international advisory committee, Sigma Theta Tau international and it’s African Chapter, Tau Lambda at Large. 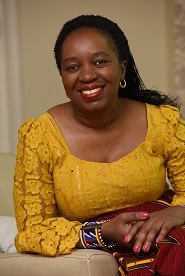 She has served as the Chairperson of the Accreditation Committee and Deputy Chairperson of the South African Nursing Council (2008 -2013), responsible for development of regulations for nursing curriculum as well as accreditation of nursing programmes and higher education nursing institutions in Southern Africa, including Lesotho. She is an Adjunct Professor at Great Lakes University of Kisumu, Kenya and Foreign Faculty at Johns Hopkins School of Nursing, Baltimore and Stanford University where she teaches gender based violence as a public health issue to graduate students on international exchange programme in South Africa. She comes from the University of Cape Town where she established and chaired the first ever national Campus Sexual Assault Response Team (SART), a multidisciplinary team which coordinates services for victims and survivors of sexual violence on campus. She was the Head of the Division of Nursing & Midwifery, between 2008 and 2013. She was the Deputy Director (Postgraduate Programmes), Department of Health and Rehabilitation Sciences, between 2008 and 2013 She also served as an executive board member of the Forum for University Nursing Deans of South Africa (FUNDISA) where she served as the Chairperson for the Practice Portfolio responsible for the monitoring and evaluation of nursing practice and nursing scholarship development in South Africa. She has successfully supervised and graduated six PhD Graduates and 19 Masters Graduates. She has authored a book “The Pain of Being a Women, an in-depth research in sexual assault and several chapters in medical and nursing practice books. She has published more than 20 articles in scientific nursing education, forensic nursing and nursing practice journals. She has been invited as a guest speaker in both national and international conferences.